How well do you know your skin? In order to get the best possible skincare, you'll need to understand which category your skin falls into. But where do you begin? Daisy Blue Naturals is here to help! Understanding your skin will help you pick the right natural products and cleansing routines to help you take better care of your skin. Skin that gets shiny or greasy quickly - this is because this skin produces extra oil which can lead to clogged pores, attract bacteria, and cause acne. If your skin is prone to redness, blackheads, open pores, and pimples - fight the urge to pop or prick them. For this skin type, it is important to use products that are oil-free and non-comedogenic which means they won't clog your pores. The oil-free skincare products will counteract the extra oil your skin produces. Skin that feels tight and can become rough, itchy, and flaky. Dry skin does not produce as much natural oil and loses moisture faster. The lack of oil also becomes more apparent when the weather changes causing your skin to experience dryness more so during these times. Wrinkles and other prominent lines are more apparent with dry skin, especially around the eyes and mouth. 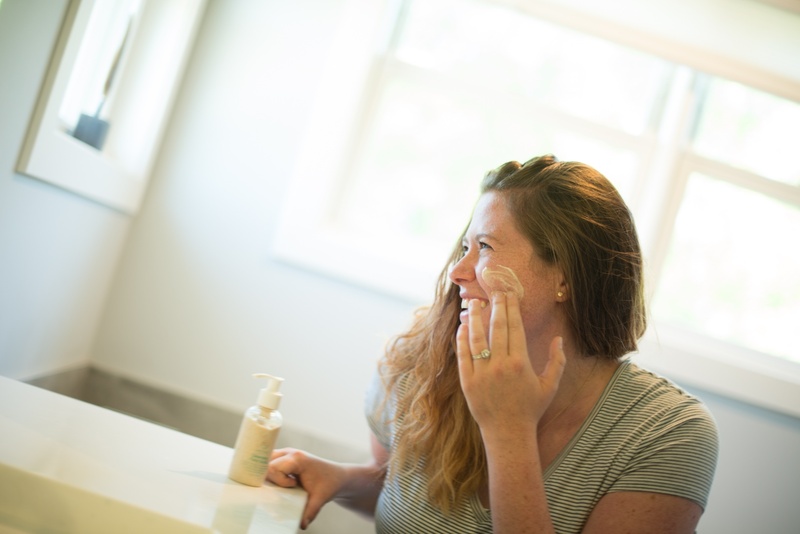 Avoid over-washing your face to keep some of the natural moisture, and stay away from harsh chemical filled products that could dry out your skin even more. Normal or combination skin is neither too dry nor too oily. It's not super sensitive and doesn't have many blemishes. Combination skin tends to be dry or normal in some areas, but oil in the T-zone. T-zone explained is the forehead, nose and chin area on your face. You might occasionally struggle with blackheads or some grease and shine, but overall your skin is pretty low maintenance. A simple natural skin care regimen will help you take good care of your skin. Let Daisy Blue Naturals help you create the perfect regimen for your skin!